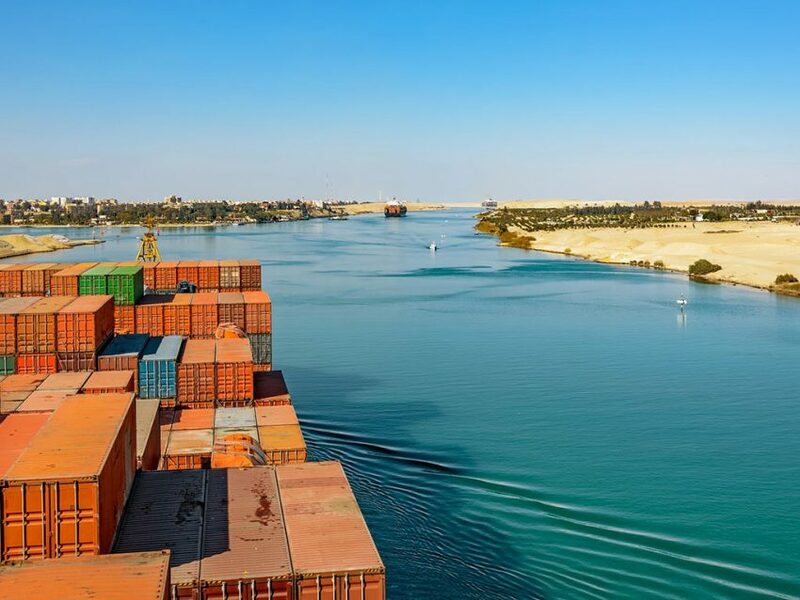 The Suez Canal is an artificial sea-level waterway running north to south across the Isthmus of Suez in Egypt to connect the Mediterranean Sea and the Red Sea. The canal separates the African continent from Asia, and it provides the shortest maritime route between Europe and the lands lying around the Indian and western Pacific oceans. It is one of the world’s most heavily used shipping lanes. The Suez Canal is one of the most important waterways in the world. The canal is extensively used by modern ships , as it is the fastest crossing from the Atlantic Ocean to the Indian Ocean. On both sides of the Canal, there are mooring bollards every 125 m for the mooring of vessel in case of emergency, and kilometric sign posts helping locate the position of ships in the waterway. The navigable channel is bordered by light and reflecting buoys as navigational aids to night traffic. all authorizations and permits required to cruise through.